A computer vision library for 3D scene interpretation. The CANDELOR SDK is a solution for 3D scene interpretation. As of now, it features a highly robust 3D object localization algorithm. This algorithm is designed to be very robust, highly scalable, and applicable to a very wide range of objects. In practice that means CANDELOR is applicable to a very wide range of object localization tasks. Here you can see an example run of CANDELOR's object localization. A generic and consistent API allows to quickly make use of the functionality and develop your first object localization application within minutes. The SDK offers a pure C-based API without additional compile time dependencies. Due to its nature, CANDELOR supports a wide range of objects for recognition. This includes highly complex parts like crank shafts to simple parts like cylindrical objects. 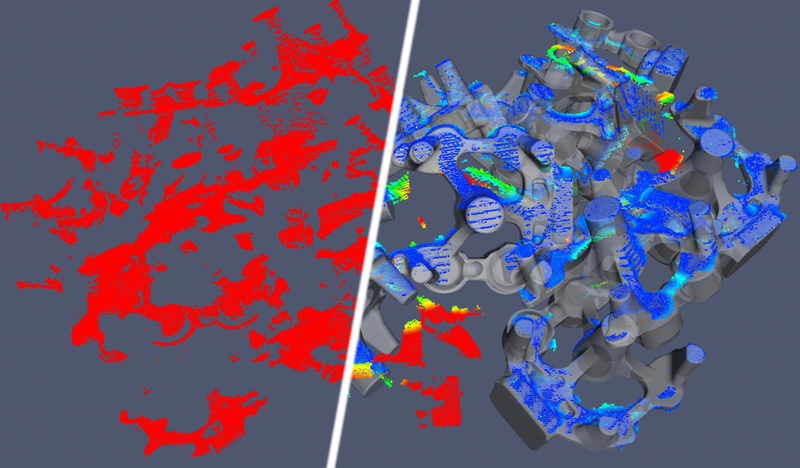 The object localization is robust against noise, occlusions, and incorrect CAD models. See e.g. complex object localization. CANDELOR has been used in multiple different use cases. On the high speed end, it is used for realtime recognition of 3D objects. Sensor like the Microsoft Kinect can achieve a frame rate of 30 fps. CANDELOR can be configured with a maximum allotted recognition time for these purposes, for a custom a tradeoff between recognition quality and speed. On the other end, CANDELOR can be configured to spend more time for recognition to get more robust results and to detect all objects in the scene. The Tutorial includes examples of increasing complexity that show the main functionality of CANDELOR. It is advised to start there. The include file candelor.h contains all functions of the CANDELOR API. The API is structured into several Modules.